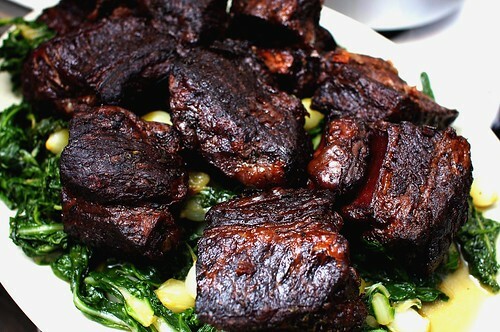 I absolutely love short ribs…and the more robust the better. I love the balsamic in this for the added punch. With this dish, I would serve a big Paso Zinfandel…it will be juicy and forward to match the flavor of the meat.